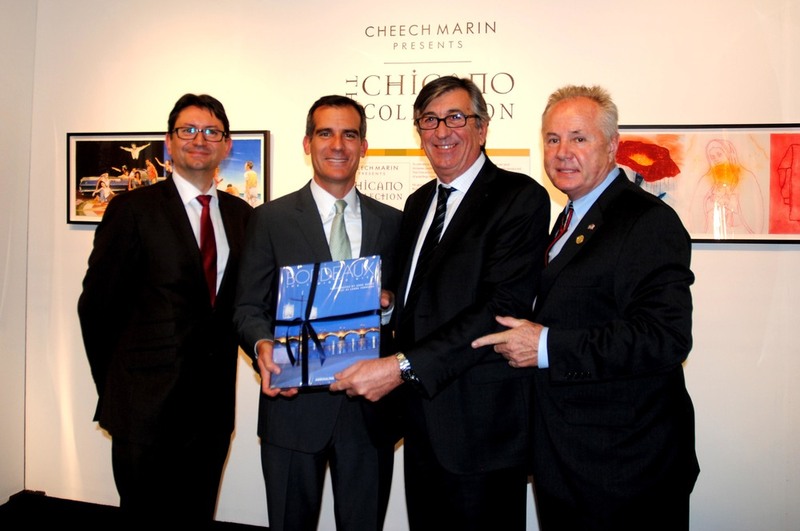 Sister Cities of Los Angeles, Inc. kicked off Bordeaux-Los Angeles: A 50 Year Partnership at the Patron Reception of the LA Art Show 2014. Art exhibits featured Cheech Marin’s The Chicano Collection / La Colección Chicana, photography from Gil Garcetti, and works from participating Los Angeles and Bordeaux artists of the France Los Angeles Residency Exchange (FLARE) program. 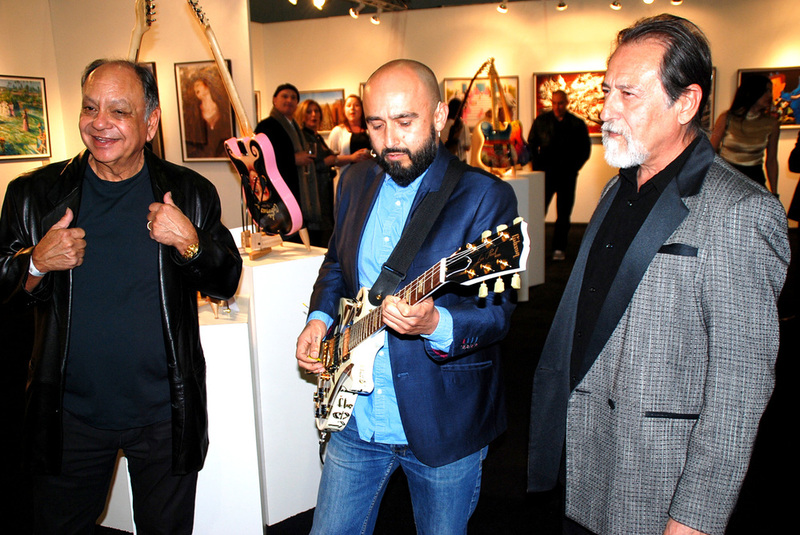 Attendees also enjoyed a special performance from surprise musical guest, Raul Pacheco from Ozomatli, who played a short set with one of Cheech Marin's Blazing Chicano Guitars.